One of the best things about spring—second only to the relief from cold weather and way-too-early sunsets—is the new clothes that go with it. Moving from winter to warmer temps means saying goodbye to heavy knits and insulated jackets, and trading them in for breezy dresses, sleeveless tops, and open-toe shoes. 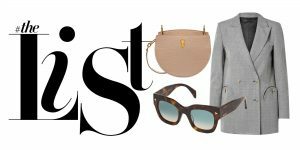 And while you might not be making over your entire closet—we’re sure you have a few seasonal go-tos you’re eager to pull out of storage—now’s the time to infuse your existing rotation with a few fresh items. Here, we list the spring pieces worth investing in, from head to toe. We love the rounded shape of Bally’s Cecyle bag: a crossbody style that’s just the right size to hold daytime essentials, but not too bulky for night. 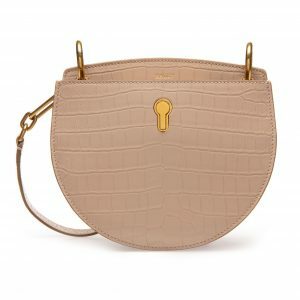 The croc effect is on-trend this spring, and the neutral color works with everything from vibrant white to muted pastels, and even dark colors like navy, charcoal, and black.